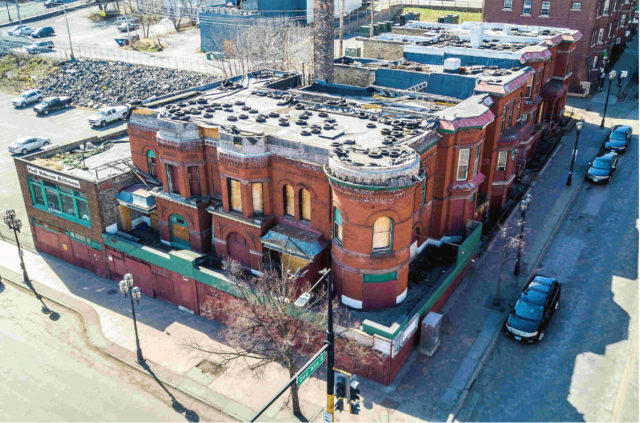 The Duluth Economic and Development Authority recently announced it rejected all proposals submitted to redevelop the burned-out Kozy Bar and proposed its demolition. The Kozy was constructed in 1887 as the Pastoret Terrace. Designed by Oliver Traphagen, then Duluth’s premier architect, the Pastoret contained six opulent townhouses. By 1924, the townhouses were split into smaller, less-expensive units, and a restaurant, later the Kozy, was added to the ground floor. By the time fire severely damaged the building in 2010, it had been subdivided into 50 apartments. Little was done to protect the building since the blaze, making renovation extremely expensive. The once-grand landmark has become the city’s symbol of blight. Its likely loss holds many lessons that could guide the future of historic preservation in Duluth. There are many lessons about responsible stewardship of historic properties. Eric Ringsred owned the Pastoret when it burned. The building was not adequately insured, limiting the resources available for its repair. The damaged building was then left to decay, hampering potential renovation efforts. Further, the building was never nominated for consideration as a Duluth landmark property, which would have provided a pathway for protection from demolition. After property-tax delinquency allowed DEDA to take ownership of the building, Rinsgred sued the city for willful neglect.